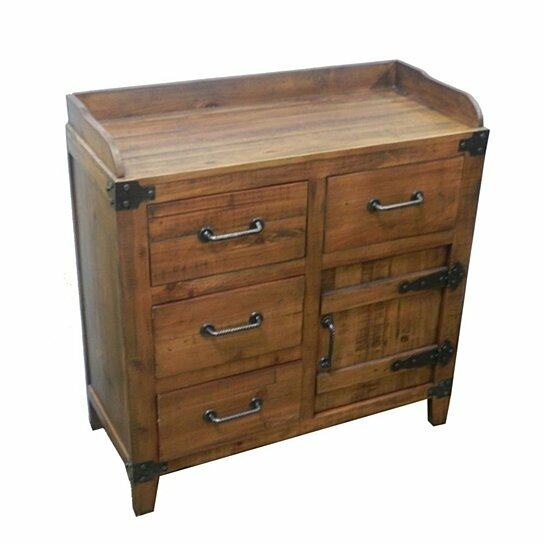 Crafted from quality wood and styled with metal, this cabinet is sturdy by nature and has a vintage touch to it. There are four drawers and one cabinet at the bottom. The drawers have enough space to occupy all the small and medium size belongings. The cabinet has door, so anything inside the cabinet will stay safe. This traditionally styled table is perfect to be adding in the drawing room, bedroom or kitchen area. Keep it adjacent to the wall in any room.